It is incredible how this world works, trend is in everything. 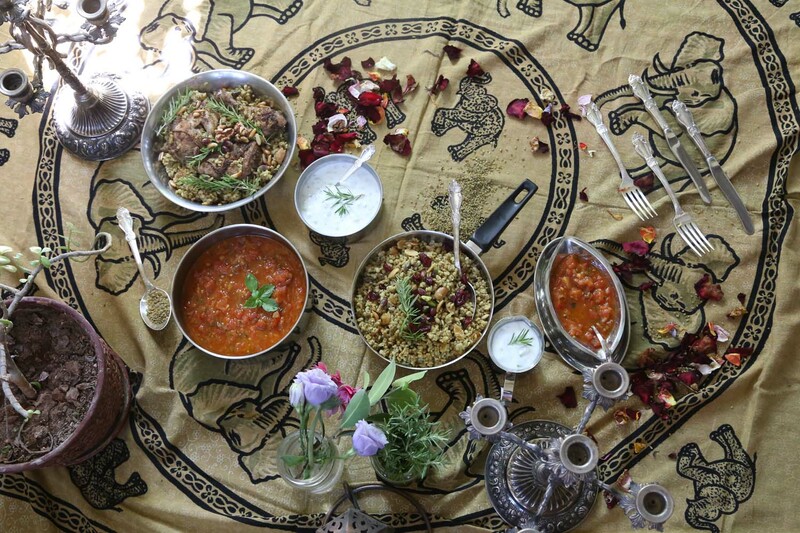 One day it is all about Quinoa the next day it is all about Freekeh. 🙂 But if you are Middle-Eastern (Palestinian, Jordanian, Syrian, Egyptian, Lebanese), Freekeh has been always around. In this blog post, I will be sharing some information about Freekeh, its benefits followed by an ancient Middle-Eastern recipe that I am sure most of you will drool over. 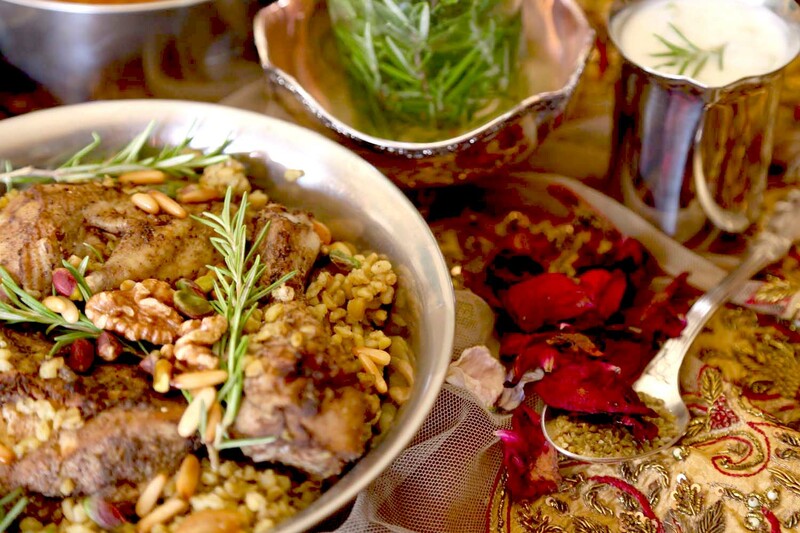 Freekeh, Frikeh, Freekah فريكة which means “to rub” in Arabic and stands for the process of its making; is an ancient Middle-Eastern cereal food made from green wheat that is roasted while produced. It has a beautiful nutty smoky aroma, exotic texture and comes either whole or cracked. We usually use the whole for main dishes and the cracked for soups. 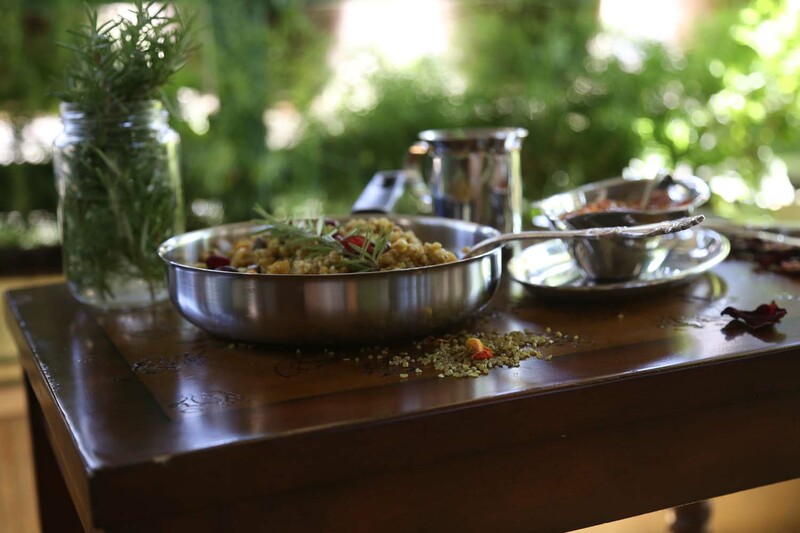 Freekeh can replace rice or quinoa recipes and is 100% whole grain. It has 3 times the amount of fiber and protein in brown rice, freekeh is not gluten-free like quinoa but has fewer calories & more protein. Therefore with all its protein and fibers freekeh will keep you full for a longer time resulting in weight loss. Freekeh is also low in glycemic index which makes it ideal for diabetics. 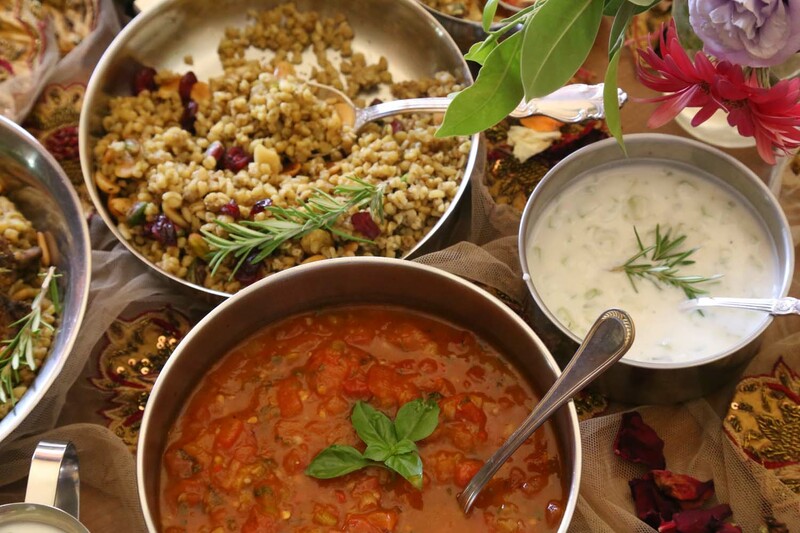 Today Freekeh is very popular in Australia, United States, Canada, and is used in variety of dishes like soup, casseroles, salads, main dishes and appetizers. It is also replacing oats and granola for breakfast served as hot cereal, with yogurt and fruits. I personally can’t imagine Freekeh for breakfast, just because it has been always introduced as one of the large main dishes throughout my upbringing, but I guess I can give it a try… one day. 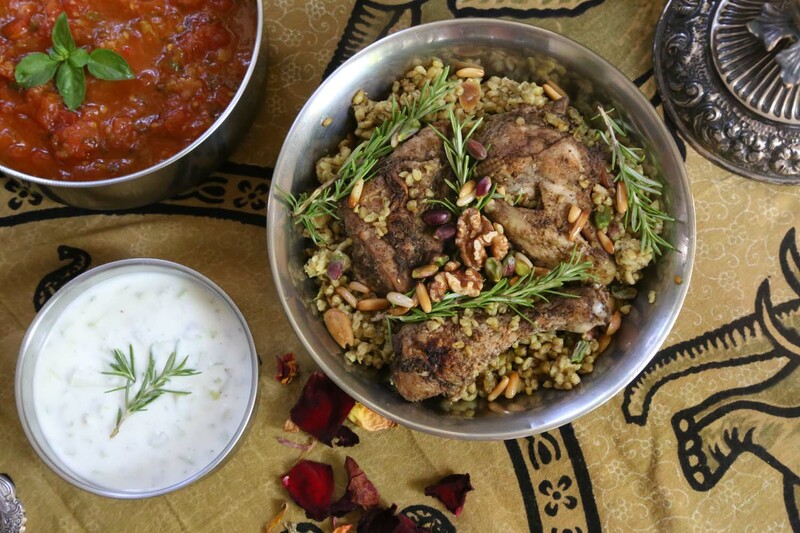 To all the Freekeh lovers out there, here is an ancient Middle-Eastern Freekeh Recipe for you to try to indulge with. Please note this recipe includes the main dish “Freekeh”, and 2 side dishes to use as sauce over the freekeh. 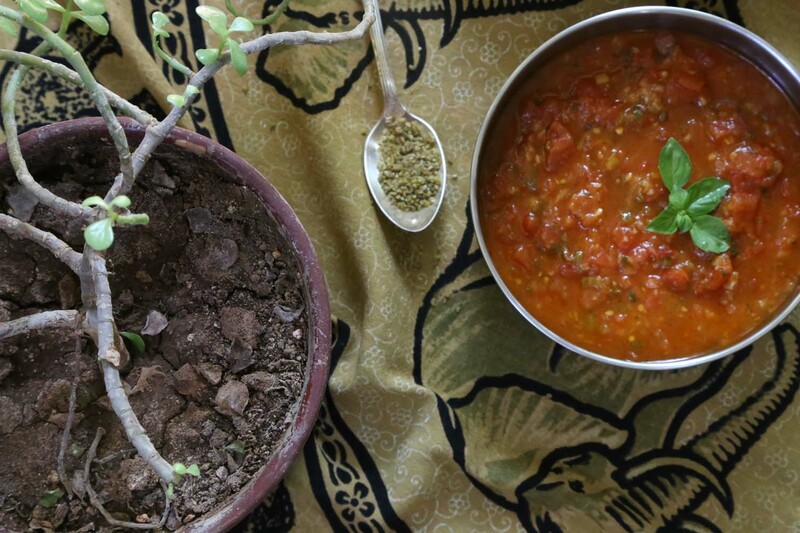 “Alayet Bandoura or Galayet Bandoura” which stands for sautéed tomatoes and “Khyar ou Laban” which stands for cucumber & yogurt salad. 2 full chickens with bones cleaned well and cut into pieces. 1cup of roasted almonds, roasted pine-nuts, roasted pistachio, and roasted raisins. Wash your freekeh very well, we usually use 2 bowls and start moving the freekeh from one bowl to another replacing the water until the water is clear. After having the water clear over the freekeh, leave it soaked in water for 1 hour. You will find the freekeh is looking different after soaking it with water, and therefore you remove the water over a strainer. On a separate medium bowl, prepare the spices mixture by adding the black pepper, mixed pepper, cinnamon, hale, cumin, and salt. Mix them very well and set aside. In a large round cooking tray, spread the freekeh. Mix the red onions and fresh ginger. Add the finely chopped red onion over the freekeh and blend them together spread. Add the caraway powder on top and add 2 table spoon of the spices mixture. Add the 4tablespoons of olive oil and SUZIE|S Speciality: onion soup. With your hands, mix them again all very well together and spread. 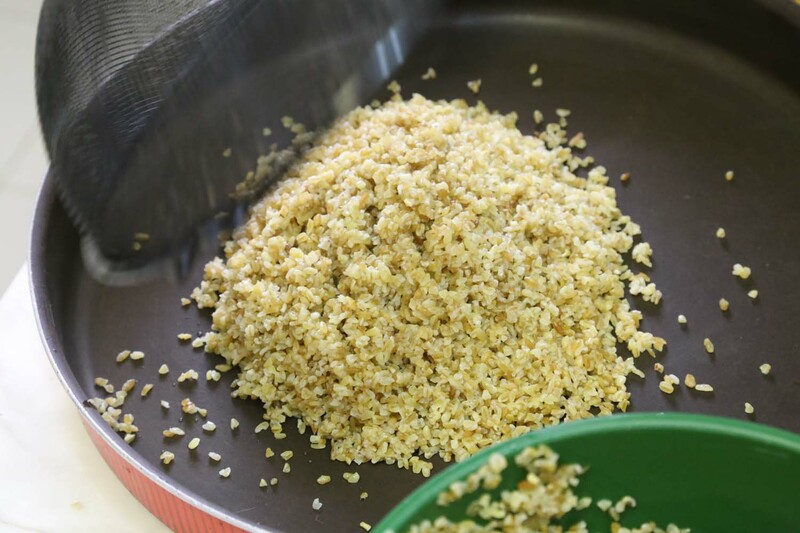 Cut the butter into small pieces and add them around the tray over the freekeh. With the remaining mixed spices, start spicing the chicken piece by piece by rubbing the spice inside the skin and outside. 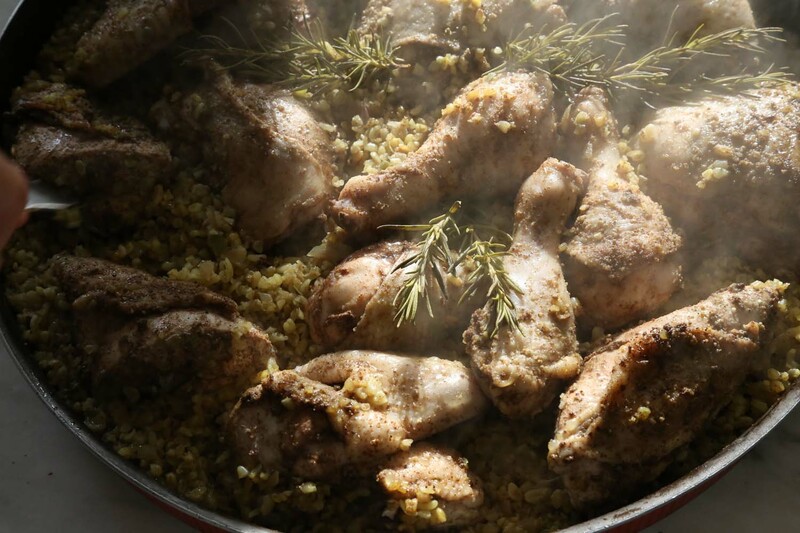 After spicing each chicken, line them over the freekeh one by one and between the butter pieces. Add 2tablespoons of olive oil over the chicken. Add the rosemary leafs around. Add cups of warm water over the dish. Cover the Freekeh dish with foil paper. Add the dish into oven over 350 for about 45minutes. Once done, take the chicken in a separate cooking dish add 3tablespoon of olive oil over the chicken to oven bake once again. This should result in a more barbecued crispy chicken and shouldn’t take longer than 10 minutes over high temperature of 500degrees. Add the freekeh to a large round serving dish, add the crispy chicken over and sprinkle the cup of roasted nuts & raisins over. In a bowl add the tomatoes and cover with boiling water for 5-10 minutes. Peel the tomato skin and cut into pieces. Cut the garlic, ginger and green chili into pieces and add into electric mixer and mix. In a large saucepan, over medium heat add the olive oil and green onion and stir. Add the mixture of garlic into the saucepan. Add the salt, sugar, pepper, crushed red pepper, and basil. Add the chopped tomatoes, stir, cover the saucepan and leave to boil. After 15 minutes, take a look if you feel like the color of the tomatoes need to be more red, add tomato juice maximum 4 tablespoons. Leave to boil for another 25 minutes. Once you turn off the heat, squeeze half a lemon on top. Peel the cucumbers and cut into small squares. Add them in a bowl with the yogurt. Optional: add the crushed garlic. Enjoy your meal with the people you love. Nice recipe you have shared with us. Freekeh ! New word for me. Is it the same which we use in a porridge ? I am trying to post a picture for what I have done but don’t know how..